Waking up and realizing you are sick … should you go for Massage? Massage does boost the immune system and relieve your tension. However, when your body is already fighting off a virus due to cold or flu or even simply a sore throat or headache with body chills, it means you are sick and your body needs to stay warm so your lymphocytes (white blood cells), which are provided to clean your body, can activate to make you feel better. Rest allows your lymphocytes to multiply so they can then work efficiently to clean up infection. This is always best done when you are resting and warmly tucked up. On a sick day you don’t really have the energy or the stamina to work and put in the effort for socialising. Although it does sound soothing and relaxing and you may feel you need a pain reliever. Unknotting your muscles pushes toxins into your system and although the nervous system is on tender hooks and you may feel that it needs soothing, a massage can overstimulate the movement of toxins through the internal organs when your body most needs to conserve energy to take away the virus. Massage can help in the very later days of recovery but should be avoided in the early days of sickness. Massages are generally known to boost your immune system. Massage works well for stress and pain relief being calming with therapeutic touch and unwinding muscular knots also relieving acquired tension from the body, it will also increase blood circulation and help balance the chakras. Massage works well for slimming and toning stimulating the lymphatic system to detoxify and remove excess fluid and tissue sludge while also helping tone the body, it also pushes out lactic acid accumulated in the joints after exercise. When the body is already dealing with sickness symptoms this stimulation of circulation and removal of toxins might just add to those existing symptoms and make you even sicker. which is the reason that if you go to your massage therapist when you are sick, they might just send you back home. In the earlier stages of sickness it gets very hard to lay head faced downwards on the massage bed it can make the sinuses feel very heavy and congested so you become dizzy when you get up and stuffy! A contagious sickness may spread: Another reason to stay away from a massage clinic while you are sick is that if you have a contagious illness, you don’t want others to catch it from you. This is just to be considerate of your therapist and the other clients. You can be home and stay in bed wrapped up and all cozy allowing your body to heal itself quickly, so that you can be up and running around again much faster and in good health. Massage can speed up your recovery process but you should wait 5 days before you try this as getting a massage will pressure your body and push it to its limits. It forces to speed up the process by pushing everything around your body. This would cause a reaction of increased disease symptoms for 3 to 4 days. A few things that should be kept in mind are that if you have colds and flu you should probably stay at home. Or if you have a fever or feel nausea it is still better to stay at home and tucked in your bed. If you have a case of a common cold you should wait until it gets a little better to catch your appointment with the therapist for a massage. However, if you are having common cold signs, it is usually ok to get a therapeutic massage after 5 days. There are different types of massage that you go for in this situation. These include Swedish massage, Hot stone massage, and Deep tissue massage. These massages are also good for recovering from strenuous exercise. These massage techniques will improve blood flow and your overall health and release stress hormones. With an increase in obesity and diabetes it is time that we in the Western World look at alternative diet plans and make the lifestyle adjustment necessary to maintain Good Health and Slender Bodies. The food we eat in the West is often high carbohydrate with lots of sugar and saturated fats, processed for convenience and speed. We do not pay much attention to the antibiotics and hormones, preservatives, colors and chemicals in what we eat today. Making changes in our diet is essential to improve our energy and lifestyle and the way we feel about ourselves It effects our general mood and health and self esteem. When we look at starting a diet, we should try to avoid the need to suffer, as it is sensible to consider a lifestyle change that we can maintain, rather than play with our body so it becomes confused as with a yoyo type of weight management that creates many problems such as ‘feast or famine’ where the body will store food when we return to bad habits often becoming even fatter than before the diet. I understand that when we have become addicted to a high sugar diet it will never be easy to deny ourselves sweet things but the consequence is dire including diabetes, obesity, headaches and confusion so it is important to get a grip on reality and this is where the Ketogenic diet may be useful. The Ketogenic diet burns fat as the primary fuel instead of sugar to achieve the condition known as nutritional ketosis. The Ketogenic diet emphasizes on consuming high amounts of healthy fats and moderate amounts of protein but very little carbohydrates. This diet can help to burn and shed body fat while reducing hunger pangs and addiction to sugar as the diet does not spike insulin in the blood it can be very helpful for reducing diabetes. The Ketogenic diet encourages healthy food options which are delicious and nutritious. Good fats include olive oil, avocado, nuts and butter. 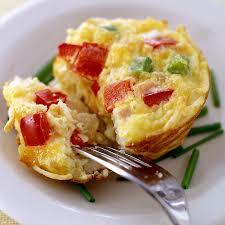 Protein includes Eggs, Salmon, Sardines which are rich in omega 3 fatty acids. 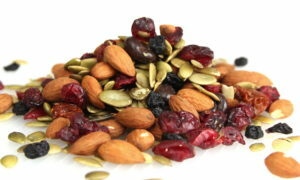 Fiber intake is also important to help flush the system and detoxify the body this includes kale, spinach, prunes. We can easily enjoy a delicious diet while our health improves and make it our lifestyle so we can get into great shape and enjoy good health. We eat too much, too often and without effort or thought. Our lifestyle allows us to eat what we like and whenever we want. BUT HOW DOES THIS EFFECT OUR BODY? and what strain does it put on our internal organs? HOW DOES STRESS PLAY WITH OUR EMOTIONS TODAY? and do we take short cuts like juicing when we should be chewing our food? Have you ever sighed in puzzlement when you read the warning messages of modern medicines; like the possible side effects of a simple headache pill being nausea, headache or worse! HOW CAN WE HAVE THE CONFIDENCE TO KNOW WE ARE NOURISHING OUR BODIES & MAINTAINING EXCELLENT HEALTH? A century ago to 1918 when our Ancestors were living in local communities,where their food was hard earned and ORGANIC. Local farmers worked hard to plough the land, growing vegetables and fruits and raising cattle and livestock. Fishermen would caste out their nets to collect fish and local markets were open for trade. Potters & Bakers & Candlestick makers among the farmers and fishermen traded at the markets. It was dependent on weather and availability. Communities came together at HARVEST TIME to help reap in the hay for cattle fodder for long winters and people celebrated & feasted as food was abundant. But they knew WINTER WAS COMING and so they fattened themselves up to survive the harsher months ahead. TODAY … is it possible that we CELEBRATE the joys of HARVEST TIME everyday? Is it time to stop and consider what this is doing to our body? Half a century ago to 1968 when our Ancestors had seen two World Wars in the first half of the century, that means that they had suffered and starved.Now scientists began introducing synthetic foods that our bodies do not understand or know how to digest but which have a very long shelf life in theSupermarkets. FOODBECAMEPROCESSEDANDARTIFICIAL. But our Ancestors were delighted with the abundance of new and exciting consumables and in schools were educated to follow the the nutritional advice of the food prism (which we now know to be upside down) where starch and carbohydrates are most important with tiny amounts of protein and fats at the top of the prism. This encouraged sales of the highly refined and processed carbohydrate and sugary foods available at that time. Today we have turned that prism around for better health. Good Fats and Protein which build strong muscles & heart & brain health are most important, Vegetables and Fruits give us vitamins and antioxidants with smaller amounts of Carbohydrates to give us instant energy to move on and get going! We now know that protiens help us endure the day and stay alert while carbohydrates offer a quick burst of energy but then make us sleepy. We understand there are good fats such as olive oil and butter that nourish us and bad fats such as corn oil that harden our arteries. We are blessed to have so much more information TODAY! WE are LEARNING today that if we want to live a longer and healthier life we can… it is our choice today that will effect how we feel tomorrow. In our life today, we are warned about hormones in our meat and dairy,lactose in milk and cream, gluten in grains and lectins in fruit and vegetables.Genetically modified foods and pesticides are poisoning our food supply. I would like to recommend you watch an interview on utube with Dr. Steven Gundry about the topic of lectins in our fruits and vegetables if you would like to be enlightened further. Have you ever considered why Italians remove the skin and pips of tomatoes? the answer is poisonous lectins or we why we need to cook thoroughly our beans before we eat them? again the answer is lectins! Dr Gundry was a heart surgeon who gave up his profession to study the effects of bacteria in the gut. As a surgeon he also noticed that seeds were collecting in the ‘villi’ in our intestines which should be clear to draw nutrients from our food to the blood stream, when he discovered the truth about lectins and how they clog our system he decided to share this information in his books and interviews. INFORMATION WHICH WILL TRANSFORM YOUR LIFE AND HEALTH. Well, it is late September so apples and pears are about to ripen and Avocado’s are already falling from the trees. Next month we can enjoy roasted vegetables as the temperatures cool. As a Christian I am grateful for the delicious produce that has been provided naturally. I am also blessed with a wonderful husband ‘Otto Kummer’ and mother ‘Inge Bartlett’ who are both amazing chefs and have always taken time to carefully prepare fresh and delicious meals for me. Many people are troubled with back pain, we all think it just occurred however it is usually gradually accumulated! a little back irritation ignored and then one sudden shock to make you gasp and it is out!! Whether you are working at a desk job or a builder with heavy lifting, a mother juggling small children and piles of unbalanced shopping, even very fit people running or exercising with imbalances in the muscles causing postural problems due to weakness of some muscles and tightness of others affecting our strength, mobility and coordination. The gait mechanics of the core are key to good health and a strong back! When your pelvis is in a neutral position, the load on your spine is evenly distributed. Think about those toy snakes as an example of our spine..when you move the lower spine then the upper spine will naturally move freely, however, when there is tightness it prevents this free flowing movement and parts of the spine may be pushed out of place and need adjustment! Think about the muscles that surround the spine holding it safely in place and protecting the spine to prevent it shrinking and creating worn discs and how important it is to keep these muscles strong and elongated and balanced. If we run with tight hip flexors and tight quadriceps the pelvis will tilt forward and this can increase compression of the vertebrae if you then imagine the added impact of running miles on an ungiving hard road surface you can see how easy it is to strain your back, another common scenario for runners is tight gluts which can lead to a tucked tail bone and so the pelvis will tilt backwards! Continually lifting and carrying on one side of the body will create scoliosis, which is a twisting of the spine, eventually one pressure point may give way and then the spine can be put painfully out of alignment. A common culprit of backache in the office is a comfy chair that you can slump into and a desk where you have to bend over to type and hook your neck up to view the computer screen! This can be corrected with the purchase of a stable upright stool that encourages you to sit forward and up right and repositioning the computer on the desk plus stopping for an occasional stretch of your shoulders, back and rotation of your neck and hips. A similar problem can strain the back with comfy car seats on long journeys! At Feel Good Studio, 27 Front Street, Hamilton, Bermuda we have a unique combination of Pilates and Toning beds to keep the spine in perfect alignment while we ask you to mindfully concentrate on isolated muscles that are engaged during the motion and all the time engaging your core and relaxing into your breathing. When we talk about core strength we want to develop a strong muscular structure for your back, hips and stomach to stabilize the spine.These muscles need to be balanced to produce the powerhouse of all movements of the body and will incorporate the deeper muscles of the pelvic floor. The complete circuit of 6 Toning beds will naturally bring balance to the body and mobilize the joints. add spinach and pepper to a breakfast omelette. 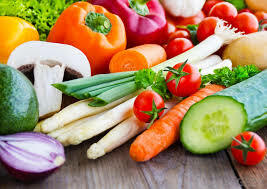 enjoy a salad made up of different vegetables. add a handful of beans/pulses to soups or sauces. It is recommended that we drink six to eight glasses of fluid a day. This includes water, tea, coffee and sugar-free drinks. 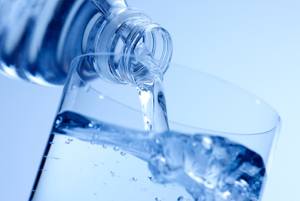 Like all things nutrition, water intake depends on the individual and the lifestyle they lead. We need water to survive – we all know this – but it has many other benefits. Water acts as our body’s solvent. It carries waste, nutrients and other important components around our body, as well as keeping our skin and hair in good condition. Professionals suggest aiming for around two liters of water a day, though they advise listening to your body and monitoring the color of your urine. Dark colored urine suggests your kidneys are conserving water due to dehydration, whereas pale-yellow urine indicates a well-hydrated body. If you find you don’t drink enough water, consider investing in a one liter bottle and keeping it with you at all times. Be sure to fill it in the morning and again at lunch time, if you haven’t been drinking enough, this will help you keep track. Alternatively, set hourly reminders on your phone and if you’re not keen on the taste of plain water, add some lemon slices. To maintain good health, your body needs whole foods and regular physical activity. If you are interested in adopting a more balanced diet, understanding the basics will make the change seem less daunting. Below are five tips to getting started on your new, more balanced lifestyle. Carbohydrates and starchy foods, such as rice, pasta, cereal and potato should generally be the size of your fist. Butter and spreads are often high in fat and sugar, therefore only a small amount if needed, aim for a portion the size of the tip of your thumb. Protein sources, such as meat and fish should generally be the size of your palm. Add a banana and a handful of spinach in your breakfast smoothie (two portions). Red fruits and vegetables contain lycopene which promotes colon health. Berries are a great for our immune system and have a antiviral and antibacterial quality. Provides protection against cancer and cardiovascular disease. 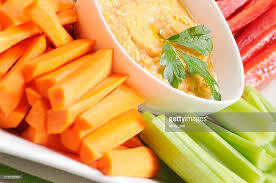 Carotenoids provides our bodies with Vitamin A which is essential for eyes and skin. 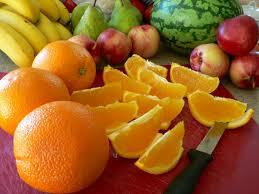 Food that are rich in the orange color are to reduce certain cancers, immunity and bone health. Lutein is the component for a healthy vision and cancer preventative. Flavonoids promote heart health and aid circulatory system. Improves a healthy urinary tract and improves memory and ageing. Protects our bodies against inflammation. 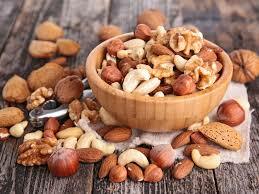 Phytonutrients which kills harmful bacteria and protect the capillaries. Mushrooms and cauliflower protect against heart disease, digestive and obesity. 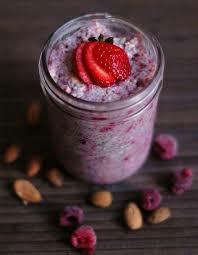 Oats and flaxseed help to lower cholesterol and balances our hormones. 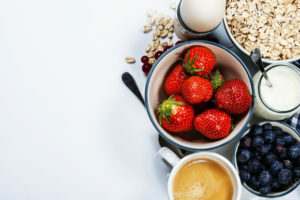 Spring cleaning your diet STARTS with reducing your intake of processed foods and hidden sugars and by filling up on fresh, whole foods that are packed with metabolism revving lean protein nutrient rich carbs and healthier fats. Ensure your success by making these super sample, healthier swaps the next time you shop. They taste so good, that you wont miss the junk. WAKE UP YOUR WATER by adding slice fruit & herbs will encourage you to keep drinking,a crucial step in supporting your body natural detox process. – As a toast topper it is packed with healthy fats. It is much lower in fat and high in protein. – Can buy fresh or frozen cauliflower, it will cut carbs and increase levels of Vitamin C.
You’ll trade processed flour and empty calories for a boost of omega-3s. It has fewer calories and half the fat and still packed with plenty of protein. A single glass of OJ contains up to 5 tsp of sugar. Provides Vitamin B, delivering a cheesy taste for less fat. It has just over half the net carbs and double the protein and fiber. On yogurt they add a great boost of antioxidants and cut out any added sugar. Today a western diet is high in refined and processed foods and saturated fats and artificial additives. Our meats and dairy are full of antibiotics and growth hormones. Our grains and vegetables and fruits are sprayed with pesticides. Even our environment is contaminated with chemical sprays. Fat is the storage facility for any toxin, which the body does not wish to process. Fat stores gather substances that the body experience as toxic or poisonous and tuck them out of harms way…the more toxins you consume the bigger your fat cells become and the fatter you get! People who store fat easily have difficulty dealing with these wastes and their metabolic rate ( the rate at which you burn energy ) gets lower, leading to chronic fatigue and early aging. Today even the fat cells of Arctic Seals are permeated with chemical poisoning! The Liver is the organ assigned to processing our food; 1. It breaks down Toxic wastes. 3. 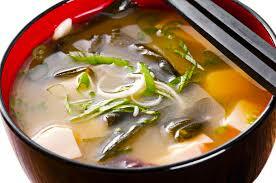 It provides enzymes for digestion. The Liver has an amazing, even outstanding capacity to renew itself and handle detoxification, yet it can become overloaded…then toxins, which are fat soluble, are carried via the blood and lymphatic systems to be stored in fat. The Liver is most active between midnight and midday. To detoxify at this time by eating only fruits, which will not stress the liver, is to allow the liver time to cleanse and shed fat! Using Raw Energy Food Combining as a lifestyle can change the way you feel and bring about rejuvenation, shedding fat to uncover your natural Beauty and bringing about renewed energy as your metabolism increases and your inner organs are cleansed and vitalised. In the colon our villi are gently swaying and taking up nutrients to be carried into the bloodstream to nourish our body, however, through years of stodgy convenience food, plague can block and completely cover the villi. The fibre of Lettuce and apples and raw foods, can cleanse away this plague and reenergize us within. When we eat convenience food over a period of time we also accumulate wastes in the tissues and we develop nutritional deficiences of vitamins and minerals. 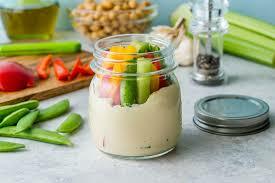 When we eat plants and seeds and fruits and salads and vegetables in their natural RAW state, our body receives vitamins and sugars; which it can readily use for energy, water; to transport toxins out of the body and roughage; that can cleanse the colon. The subtle energies of these foods encourage detoxification and fat burning they give us life force and vitality to improve cellular metabolism and electrically charge our system. The life force of a plant is destroyed when foods are cooked or processed, these subtle energies play a central part in enhancing metabolism, rebalancing the body’s functions and eliminating excess fat stores. Scientists can measure the intensity of electrical fields in living cells and by measuring the ‘L-Fields’ around a seed, they can predict how healthy or unhealthy a plant will become. Living cells or RAW FOODS emit light in the form of bio photon radiation their cells radiate this light very intensely and they produce natural alternating current fields which reflect biological events necessary for cell metabolism, health and growth. Raw foods are living foods and new spouts and seeds are life generating. Raw foods should form 50 – 70% of your diet for optimum health. We get 3 types of energy from Raw Foods;1. Kinetic Energy for motion. 2. Electrical Energy to maintain cell wall integrity and muscle and nerve impulses. 3. Chemical Energy for the metabolic process. Sunlight through photosynthesis in plants is the primary source of all 3 and much of this energy is destroyed when foods are cooked or processed. By eating in a way that shows respect for the body’s enzymic limitations, you will allow your body to digest foods fully and properly. 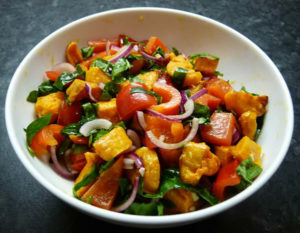 For instance; eating meat with salad or vegetables then allowing 4 to 5 hours before you take a starch meal with fruit. The human body is not designed to digest efficiently more than one concentrated food in the stomach at the same time. Starch digestion begins in the mouth, the enzymes that act upon starches cannot effect proteins or fats and require an alkaline environment, the starch splitting enzyme Ptyalin prepares starch for its journey into the small intestine. All starchy food must be chewed thoroughly. Protein digesting enzymes need an acid medium and cannot be fully broken down in the presence of starches. The body produces hydrochloric acid and the gastric glands produce pepsinogen, these come together to produce the enzyme pepsin for splitting proteins. Foods are broken down into chemical parts for use by the cells thanks to enzymes. Our villi in the colon allow these chemical parts to be taken away into the bloodstream. When foods such as starch and protein are consumed in the same meal, food cannot be completely broken down and the stress on our organs and enzymes can result in food allergies. Separating proteins from starches and allowing a digestion period will allow food to be completely broken down into chemical parts and reduce toxic build up and increase the metabolic rate. Eating plenty of raw foods each day ( ideally 50 to 70% ) lifts the body with vitality and energy. To achieve permanent fat loss you need rational and effective methods for eliminating toxic waste and to follow a way of living, which will permanently help prevent toxic build up. The Raw Energy Food Combining will boost your metabolism and detoxify your body while it creates an alkaline system for optimum Health and reduces pain and inflammation within the body. A toxin, such as an artificial sweetener being consumed, it has no nutritional value to the body! Unlike an advocado which is high in calories, but when we eat an advocado every part of our body wants its value; it is packed with healthy omega oils to nourish our heart and our skin, vitamin A is essential for the renewal of our cells. No part of the advocado is toxic or stored away in fat. At first our body accepts the toxin and tries to process it, but as our body becomes familiar with the toxin, our liver and kidneys shun it away into the bloodstream to be transported to the fat cells. The fat cells are not happy about this and so they draw water to surround the toxin. Soft fat striated with hard fat, this is cellulite! The toxin is very contented to stay there as if relaxing in a hammock on an Island. Our once smooth, contoured and sculpted body quickly becomes fat and soft with cellulite the more toxins we consume. Massage will rock the hammock and stir the toxin to leave the body via the bloodstream and sometimes an almighty headache will be the result but drinking plenty of water will help flush toxins away painlessly! Our Slim Legs treatment will break down cellulite with micro current but it is then important to drink plenty of water and eat well to avoid the empty hammocks becoming filled!